For the upscale bride who prefers to be more unassuming in the luxury she clothes herself in, there is C129 Irena. 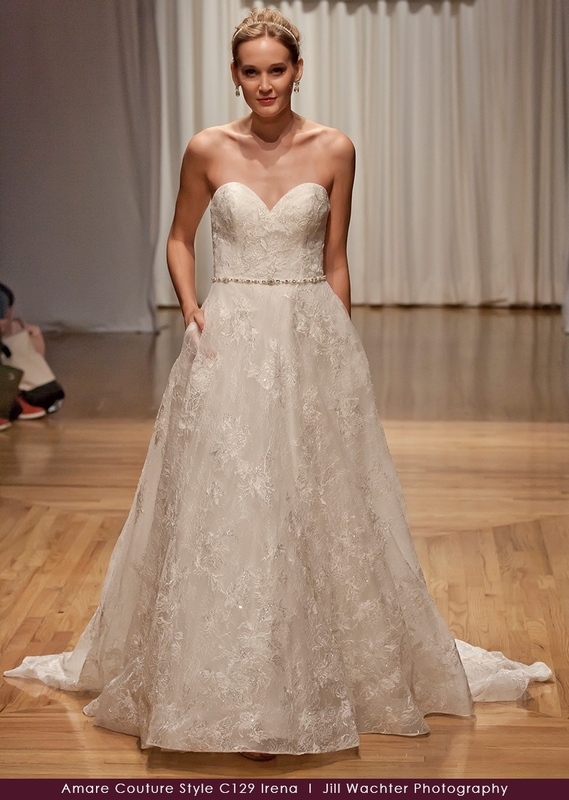 The noteworthy element of this gown is the combination of silver embroidered lace appliques and Chantilly lace, which is seen throughout the entire A-line, strapless, sweetheart neckline shape. The back showcases a short and sweet illusion panel.